More Ideas Than Time (& that’s OK) and the Note To Self notebooks, are new additions to the Baggage Reclaim collection of kraft notebooks. 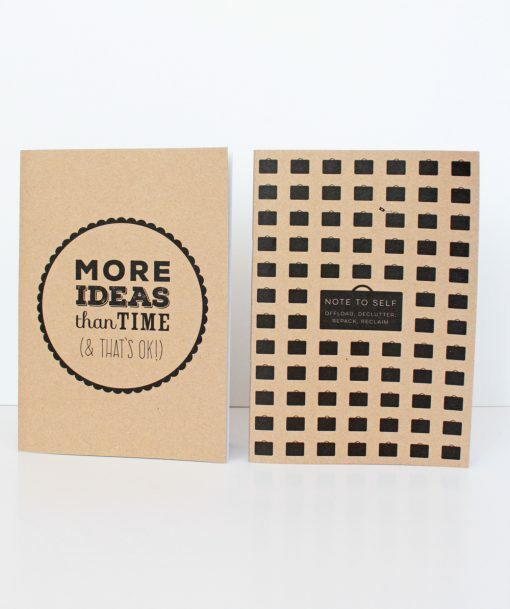 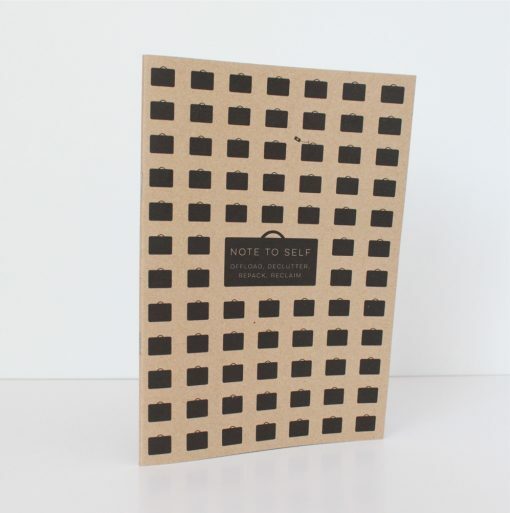 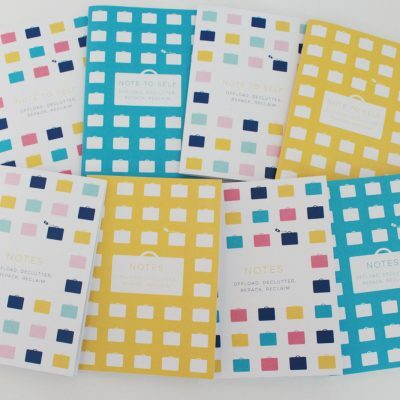 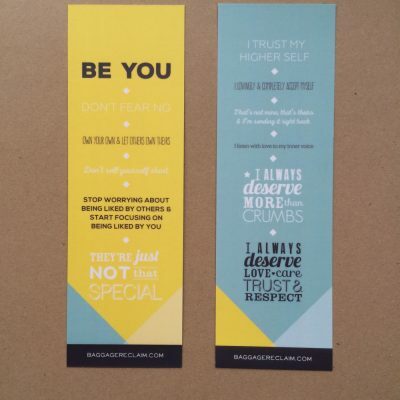 A5 size and featuring 36 blank pages, this bundle of both notebooks is ideal for creatives and people with busy minds that need a compassionate reminder to go easier. 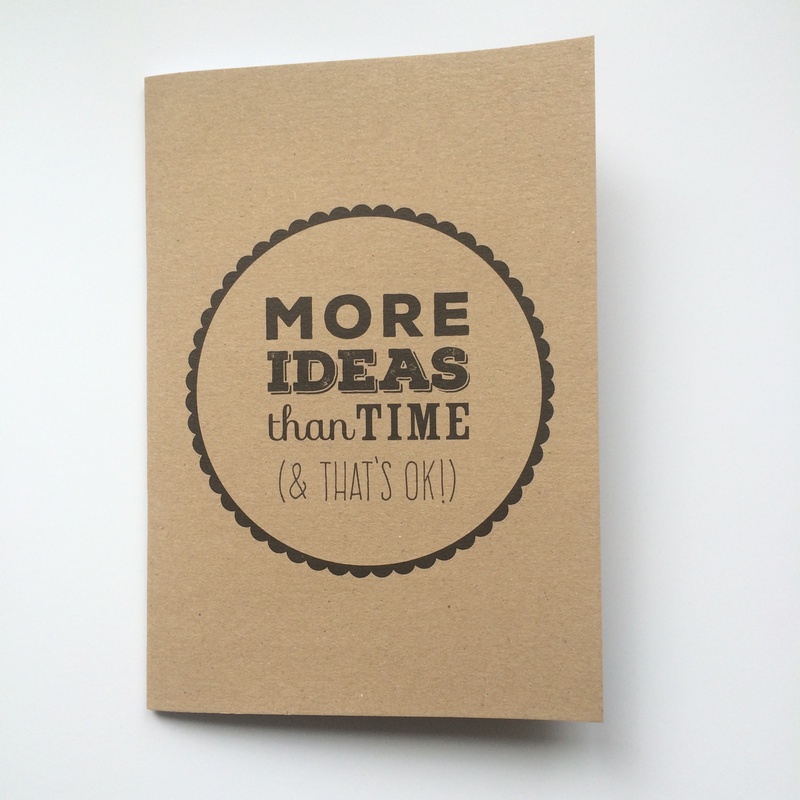 Brain dump ideas, journal, doodle, keep a Feelings Diary and calm down a busy head. Made in the UK from recycled paper.